Backers of a proposed for-profit marijuana ballot issue released new details yesterday but did not disclose who would profit should voters approve the legalization issue this November. The group announced that its plan would assess a flat 15 percent tax on revenue from growing, manufacturing and selling marijuana. The proposal would legalize personal use of the drug for those 21 or older, and make the medical version of the drug available to people with qualifying illnesses. 12.9 percent and 25 percent, respectively. ResponsibleOhio’s proposed issue relies heavily on promises of tax revenue for government and thousands of jobs for the economy. Backed by 10 unidentified investors or groups, ResponsibleOhio vows to "create opportunities for Ohioans to own and operate retail stores and manufacturing facilities." There are no guarantees in the amendment. The best places to look at what might happen in Ohio are Colorado and Washington, where voters legalized marijuana for personal and medical use in the past three years. $25 million on sales that began mid-year in 2014. Colorado’s marijuana industry is growing through the sale of marijuana and related products. One marijuana products company, Dixie Elixirs & Edibles, employs 10,000 people. Gov. John Kasich is opposed to the pot proposal, spokesman Rob Nichols said. Marcie Seidel, executive director of Drug Free Action Alliance, said the "marijuana cartel backers continue to talk in vague, glowing terms while refusing to dignify the intelligence of Ohio voters by simply offering the specific details of their scheme. We prefer to wait until they file their proposed constitutional amendment with the attorney general before we fully illustrate the many ways this drug legalization scheme is bad for Ohio families and workers." ResponsibleOhio leaders must gather 305,591 valid signatures of Ohio registered voters to place the issue on the November ballot. They said amendment language will be submitted to Attorney General Mike DeWine in February. Tax revenue, projected by the group to be tens of millions of dollars annually, would be distributed on a per-capita basis. It’s plan would allocate 55 percent to a "Municipal and Township Government Stabilization Fund"; 30 percent to a "Strong County Fund" for law enforcement, economic development, and infrastructure; and 15 percent to a "Compassionate Care Fund" to pay for operation of the state commission, nonprofit medical marijuana dispensaries, addiction and treatment programs, and marijuana research at Ohio public universities. This plan differs from other plans being circulated because it is a for-profit model. Ten individuals or investor groups who fund the campaign would, if the issues passes, have exclusive rights to operate one of 10 businesses in the "growth and cultivation of marijuana and the extraction of cannabinoids." Only one of the investors’ names has been made public. James Gould is a Cincinnati sports agent, businessman and member of the board of directors of numerous organizations. Gould’s sister, Barbara, who served on the Ohio Arts Council Board and other arts organizations, might also invest. Christopher D. Stock, 39, a Cincinnati attorney and lead drafter of the proposal, said it is about "making sure the product is safe and that we’re eradicating the black market." Stock is former assistant attorney general and deputy state solicitor for Attorney General Jim Petro, and was a law clerk for Ohio Supreme Court Justice Terrence O’Donnell. 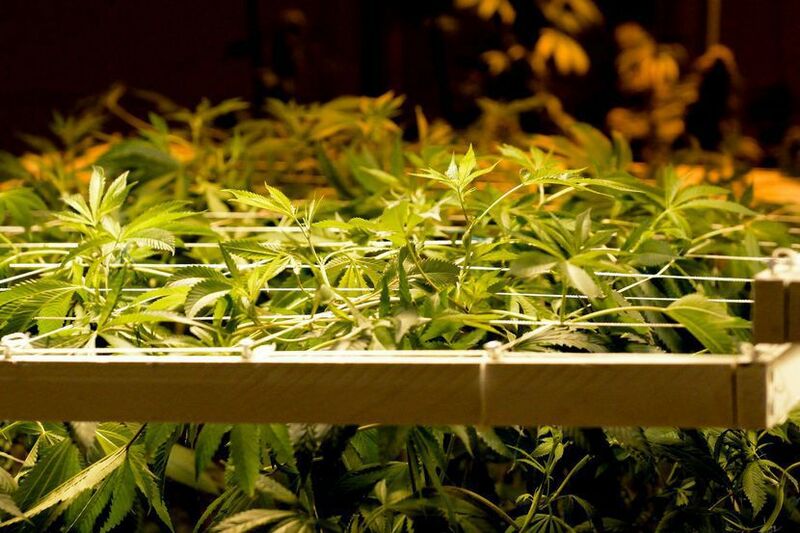 The proposal calls for creation of a seven-member Ohio Marijuana Control Commission appointed by the governor. Only one of the commission members would be someone involved in the marijuana industry.